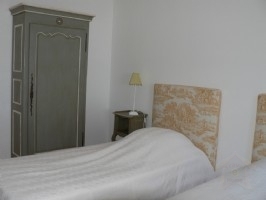 Offering majestic views of Provence and the South of France, Villa Mas du Moulin is located in the heart of famous Luberon Valley. The villa features a luxury style infinity pool, the lush private gardens, and classic Mediterranean architecture and ornate details that create an atmosphere of refinement and comfort with Provence settings that are far from ordinary. 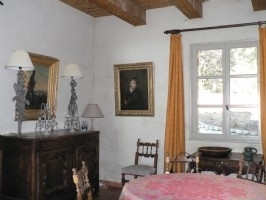 Elegant, South of France luxury style villa in Provence with 5 bedrooms; 3 bathrooms, new luxury mattress & bedding, Indoor & Outdoor dinning with BBQ, Fully equipped kitchen, Washing Machine & Dryer, AC, 42" Flat Screen/ TV Audio/DVD Player, High Speed Web and Access + WiFi. 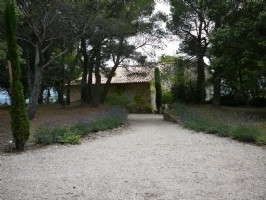 Mas du Moulin is 100% authentic Provence "dry stone" villa. 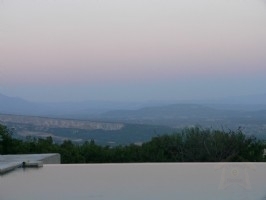 Provencal villa with private heated infinity style pool. 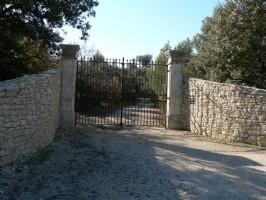 Located on outskirts of ancient village with a Magnificent scenery and spectacular 180 degrees views of majestic Luberon Valley. For safety, the pool features a sate-of-the-art pool cover security system.